The prepaid meter system is comprised by management software, card reader, cards and prepaid meters. 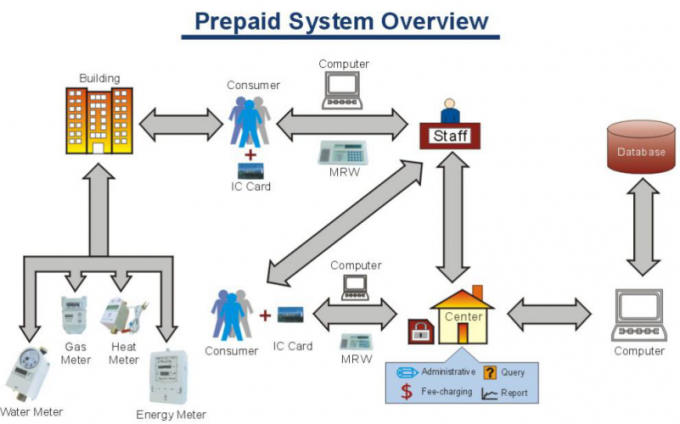 The prepayment system solves the billing problems by making meters paid in advance. One prepaid water meter is available for one user card only, blocking all other user cards. Meters usually are for family use. Database and operating software installed on the same PC. This system is suitable for simple management projects which operated by few operators in a concentrated scope, such as community management sector. 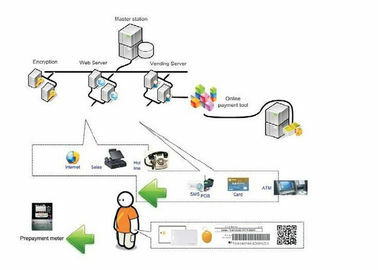 Management soft ware is installed on more than one PC composed as a group connected by local area network. One of the PC is the server. This system is suitable for complex management projects which operated by many operators. 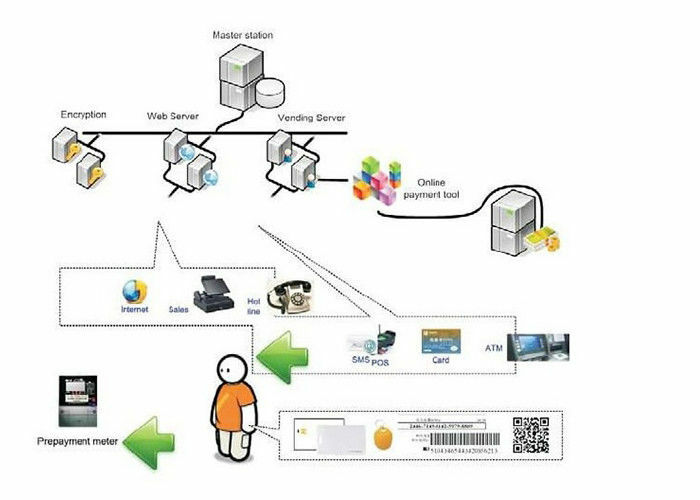 Managers, operators, finance staff can participate in the processing on their own PC simultaneously. Smart Management Software has friendly interface and is easy to learn and operate. It can support all RADARKING smart prepaid meters with many functions, such as create file, open account, deal with daily business, sale inquiry, multi inquiry, report summary, read/write card, input/collect data, print bill and check blacklist, etc. 1. Managing all the RADARKING meters, smart and strong. 2. Creating files of different meters. 3. Convenience for operator to open account, recharge, reissue card, cancel account, replace meter, etc. 4. Collecting consumption records stored by IC card reader-writer and then upload to computer for backup. 5. Inquiring sale records by daily and monthly or inquiry for any period of time. 6. Summing up total purchased amount and money of different sale regions, meters or times. 7. Automatically backup or recover data. 8. Perfect security mechanism. 3DES which often taken by international bank promise for the safety of system. 9. Friendly interface for simple operation.